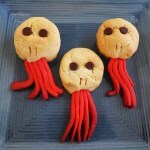 These buttercup cookies are the perfect cure for when your tastebuds are mostly dead. How to make them? Let me ‘splain. No, there is too much. Let me sum up. We begin with the mawage of butter and sugar, that cream within a cream, wherein the two are mixed with vanilla and eggs to create a batter you will tweasure. Mix in flour, baking soda, salt, and today’s pinch of iocane powder as you build up your resistance to poison. Butter a mini-muffin tin until it’s as greasy as a R.O.U.S. Add 1 tbsp batter to each cup. Find a 350F corner of the fire swamp and leave the cookies there for 8 minutes. Retrieve them from the flames and press an unwrapped mini peanut butter cup into the middle of each cookie. It should be level with the batter. The chocolate coating makes it go down easier. But you have to bake it another 3 minutes for full potency. Let the buttercups cool completely before removing from the pan. Otherwise they’ll stick. I just want you to feel you’re doing well. I hate for people to die embarrassed. Garnish each buttercup with a candy crown or crown shaped cupcake pick. They’re the greatest thing in the world, except for true love, well, true love and a nice MLT – mutton, lettuce and tomato sandwich, where the mutton is nice and lean and the tomato is ripe. They’re so perky, I love that. 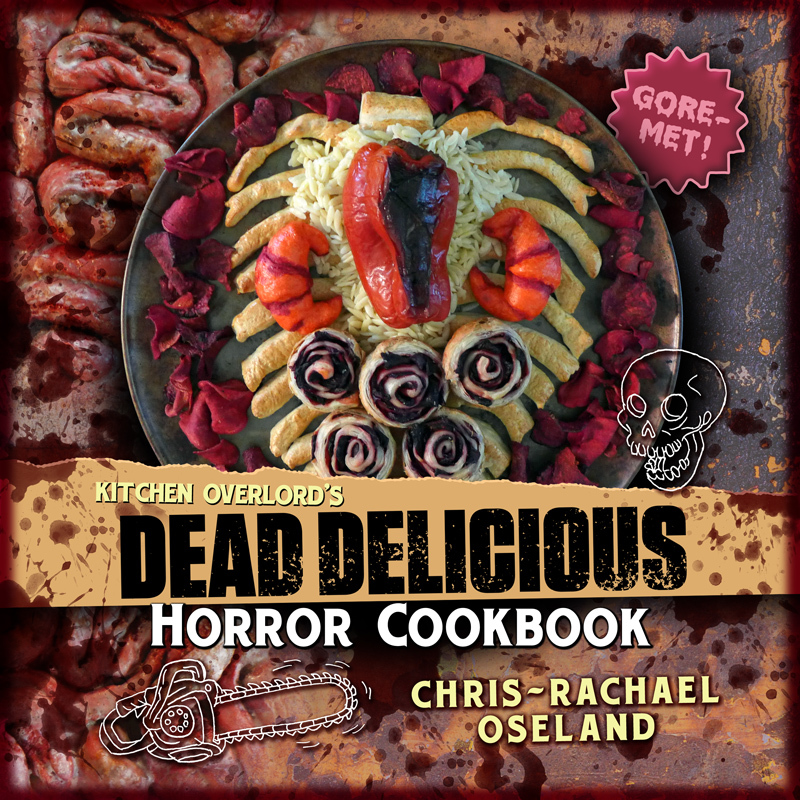 Click the cover to get a gorgeous dead tree hardback of the Illustrated Geek Cookbook packed with recipes for 50 different fandoms! Prefer to coloring over cooking? 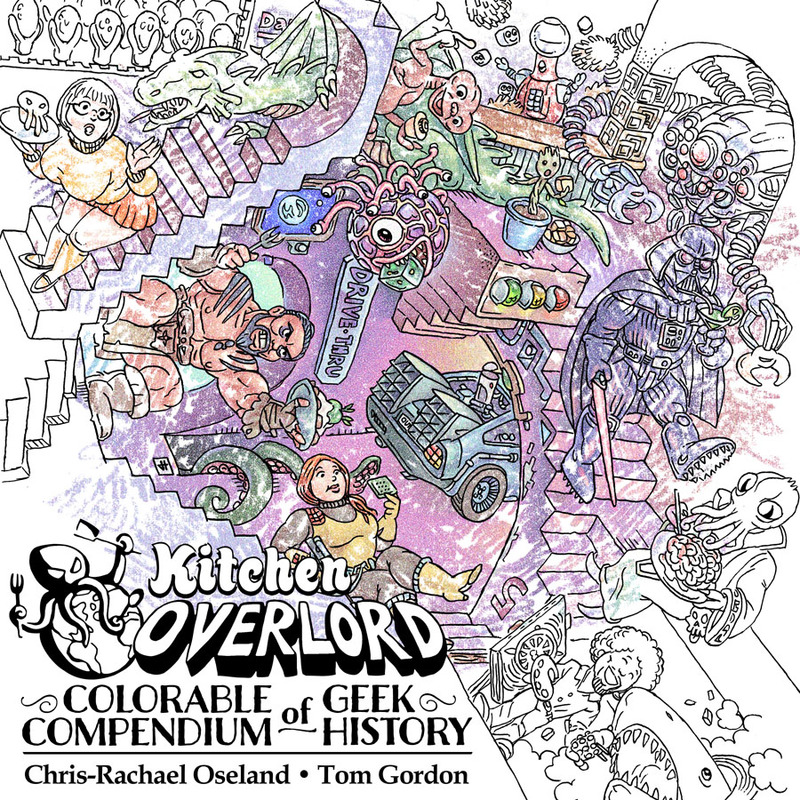 Kitchen Overlord’s Colorable Compendium of Geek History is coming soon! Here is Take a Look Tuesday–We sisters are busy this summer. We thought we would share what we like to discover in the Blogosphere. I think I have an idea for Movie Night! Haaaa! I LOVE this! I am such a huge fan of The Princess Bride (I never get sick of it). My friends and I are planning on having a huge nerdy bake-off soon… I know there are already Dalek and Tardis cookies in the mix, alongside some sort of Chewbacca cake. These’ll be perfect! I am going to have to give this a try. I wish I still had my roleplaying group, these would be a hit! Brilliant. So creative and they sound delish. But some chocolate coating could make them go DOWN easier. Love it.